If you wanted to apply to 151 medical schools, what would you need to accomplish that? An extra three months of time? A team of personal assistants? The ability to function on no sleep? Some kind of personality disorder? These are just a few things that come to mind. In theory, it seems downright impossible to pull off 151 applications in one cycle, at least not without going completely bonkers. We’ve already told you that we think 68 is too many. But theory and practice do not ALWAYS align, and here at The Savvy Pre-Med, we’re lucky enough to know someone who actually attempted this Herculean feat last cycle. Yes, this student actually applied to 151 medical schools, but what’s more shocking is the successful result - both in terms of acceptances and the student’s happiness/well-being. It might be hard to believe, but this student gained acceptance into a top-tier MD program through this approach, all while managing to stay sane and live a balanced life. We’ve taken the time to interview this student about this enormous endeavor, so that we can offer key lessons and insights for future applicants as they select their school lists. All names and identifying information have been altered or removed to protect anonymity. DISCLAIMER: Savvy Pre-Med does not endorse this strategy and would strongly advise against it for your application. But it’s certainly an interesting plunge into the pre-med psyche! Savvy Pre-Med: How did you compile your school list? We assume that you received advice or recommendations - what made you go “all in” and apply to so many schools? This sentence kept reverberating in my head as I peered at my MCAT score - 510. I didn’t know whether to feel disappointed or relieved. Sure, statistically I was going to get into at least one bottom-tier MD school. My dream to be a medical doctor had essentially been confirmed. However, all of my fantasies of walking the halls of a top-ranked, prestigious school, where so many esteemed alumni had walked before me, or to conduct research in labs which had been home to so many famous discoveries, began to quickly vanish. Of course, these quantitative figures shouldn’t be what define me. So, I thought about which of my extracurriculars and personality traits would show me as the ideal “well-rounded” applicant. I tutored, ran in charity 5Ks, traveled on mission trips, and scribed. ‘But so had everyone else.’ What else? Yes, I did cancer research in undergrad. But did I cure cancer? Of course not. I had some leadership in student government. But was I the student body president? No. There had to be more. I’m a good person. I’ve spent countless hours serving my community. I’ve worked my hardest throughout my undergraduate years. This brief glimpse into my psyche shows that I tend to have a self-deprecating outlook. However, this trait allows me to identify my weaknesses and motivates me to do whatever is necessary to get to where I am destined to be... such as applying to 151 medical schools. SP: What were your criteria for selecting schools? Only one question guided me while constructing my school list - is it an MD granting institution? It turns out that 151 is the number of schools and programs that I was permitted to apply to through AMCAS and TMDSAS. And this is exactly what I did. However, it is important to note that if I would’ve gotten an MCAT score somewhere in the 90th percentile, I would’ve only applied to about 20 schools. My main motivation for “playing the numbers game” was geared more towards overachieving and getting accepted into a world-renowned school, rather than simply getting in somewhere. SP: Did anyone try to talk you out of it? Did you find any of their points convincing? Of course. When I told others about this strategy, they overwhelmingly thought I was insane. And rightly so. Their arguments were based on past experiences, statistics, and best of all - logic. When I saw this advice, I wondered if I should really commit to my plan. However, two of my friends’ stories compelled me to remain steadfast. Each applied twice. During the first cycle, they both applied to roughly 40 MD schools with between 3.7-3.8 GPAs and MCAT scores of 506. Neither were accepted to any school. During this forced gap year, each enrolled in an MCAT prep course and strengthened their applications through extracurriculars. The next cycle, each applied to about 60 MD schools and 20 DO schools, with improved scores of 508 and 509. In the end, one student went DO and the other to a first-year MD program. After everything was said and done, each had applied to a combined total of about 120 schools and flew to a few different interviews their first cycle (a waste of $4,000+), paid an additional couple of thousand for the prep course, and spent numerous additional hours strengthening their applications. Even further, each delayed their medical career by one year, which cost upwards of $500,000 in lost salary. I reflected upon their stories and decided I wasn’t going to endure the same fate. Consequently, instead of applying to 120 schools over two cycles, I simply applied to 151 within one. On the other hand, I’ve had peers with a 518 MCAT and 3.9 GPA get rejected from top-ranked schools, while others with a 512 and 3.7 got into the same schools. In my opinion, all the highly competitive applicants begin to blend together for admissions committees, with the exception of the occasional flare here or there. This made me believe that even seemingly insignificant circumstances could dictate your fate. Did your application reader spill coffee on their brand new shirt just before reading your application? Or did their daughter just call them to say that she’s getting married to her highschool sweetheart? Obviously the second scenario makes the reader more prone to a favorable reading of applications on that day. There’s a lot on the line when applying to medical school, and if you screw up, you hurt yourself. In my mind, this was even more reason to hedge my bets and cast such a wide net. As I think into the future, although I spent around $36,000 on applications, travel expenses, missed wages, etc., this number will be insignificant during my first-year salary as a physician. Furthermore, I figured I would conduct my introspective search for the right medical school fit after I applied, because what’s the point in deciding you’re a good fit for a certain school if the school is going to reject you anyway? Once I began receiving interview invites, I conducted specific research to gain insight into where I stood for each and categorized them into: “reach,” “competitive,” and “good shot.” Also, I ensured that my passion, personality, and purpose aligned with the school’s programs, culture, and mission. Through this, I sculpted my interview responses to show my unique fit. SP: Filling out applications is both expensive and time-consuming (completing even 25-30 secondaries is challenging on its own, let alone 151). How did you manage to finish so many essays in such a short amount of time? In short, a disciplined routine. First, I would create a lengthy to-do list that outlined every hour of my day to maximize my productivity while holding myself accountable. During the summer, when most of my secondary writing took place, I had the luxury of not having to worry about classes and only working 40 hours/week. On most days, when I wasn’t scribing in the ER, I would wake up at 6am and go for a two-mile run. I would then eat a light breakfast, read a chapter or two in a book, and drink a few cups of coffee. Then I tutored from 10am-4pm. Whenever I wasn’t seeing students, I would be writing. I would make sure to plan at least two hours of social time with friends between 4pm-6pm: playing basketball, grabbing a couple beers, or playing video games. After dinner and a shower, I would focus on secondaries from 8pm-2am. I am typically a very social person who holds numerous obligations. However, I must force myself to work in isolation, either tucked away in the corner of the library or alone in my room with my rock music playing softly in my ears. I eliminate all distractions (i.e. muting social media notifications) to ensure a productive writing session versus hours of distraction and writer’s block. SP: Can you estimate the total expense or total time logged? SP: What was the most challenging part of applying? How did your approach affect this facet of the process? Of course, applying to 151 schools made this facet of the process MUCH more difficult as I received between 40-50 secondaries simultaneously within a week of submitting my AMCAS. With the forewarning of my advisors, I had pre-written 14 of the most common secondary questions asked by medical schools. I utilized a systematic approach that started with creating a plethora of reusable content in the beginning, which was then repurposed within different drafts across the future prompts I tackled for the remaining schools. Traveling all around the country in such a short span of time (3 months) during school and taking off so much work. I believe that my shotgun application approach actually made this process MUCH easier, since I had so many interviews to choose from. Due to all of my options, I was able to pick interviews that worked best for my schedule. Furthermore, because I began interviewing so early (mid-August), I was accepted to multiple schools in December. Consequently, I have had the strange privilege of turning down more than 25 schools. This has allowed me to save the time, effort, and expenses needed to travel during the new year and focus on school and work. SP: What did you use to organize your applications? I used a variety of Google sheets and docs provided by Passport Admissions alongside some rudimentary, self-made Word and Excel charts/tables. I also created a variety of labels in my gmail account so that I could separate the multitude of emails into “Completed,” “To-Do,” “Interview-Invite,” “Accepted,” “Rejected,” etc. SP: Did you have any fears about your approach? Did they come true or not? No, I understood the immense amount of time and effort required of me, and I mentally prepared prior to this undertaking. SP: How many interviews have you received thus far? The interview trail isn’t cheap or easily managed - what has it been like to travel so broadly and frequently? 36 and counting, but only went to 9. I stopped traveling to most schools once I was accepted to a top-five program. However, it has been difficult taking time off from my three jobs (EMT, scribe, and tutor), as I usually try to work between 40-50 hours/week during the semester to cover all of my expenses. Further, during my first semester of my accelerated MPA program, I missed a total of 25 days due to traveling for medical school interviews. This made it even more difficult to stay on top of my coursework and achieve a 4.0. However, it was crucial that I separated myself from my other priorities at home. During the high-stakes interviews, it was of the utmost importance that my head was clear of all distractions so that could remain focused during those stressful hours. Despite all of these associated hardships, I felt blessed that I was able to travel to so many cities and experience a variety of distinct cultures. SP: Would you recommend this approach to other pre-meds? Sure, if you have the time, dedication, and propensity to accumulate an immense amount of debt. It is also worth noting that for every one of me, there's another like me who plays the numbers game and fails. 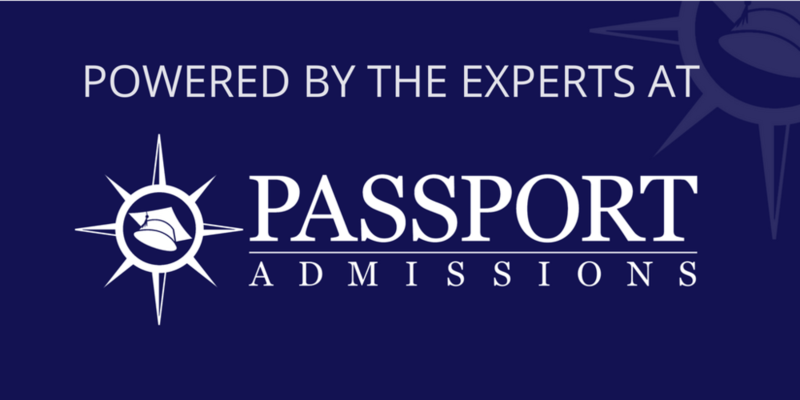 SP: What have you learned about the admissions process as a result of this approach? Apply early! I applied within the first two weeks (I would’ve applied the first day but I was waiting for my spring grades). Stay organized and pay attention to deadlines! There are so many that they begin to blend together, but missing one can sink your chances! SP: What parts of the application process surprised you? At its core, medical school admissions is a numbers game. Simply put, if you don’t have the numbers (i.e. GPA and MCAT), you won’t get in. However, I was invited to interview at seven schools who had MCAT medians 4-5 points above mine and will be attending a school whose median is 7 points above mine. Furthermore, I was invited to interview at two Texas schools and accepted into University of Washington as an out-of-state applicant (both are nearly unheard of). SP: Did you make any mistakes that you regret? No, I’m not one for taking chances with my life, and this was the most foolproof technique that I could take to ensure my future. This belief is further solidified by the fact that I’m accepted to the medical school of my dreams. SP: Any last words of wisdom for other pre-meds? Find what makes you tick; then spend your time and energy developing this unique trait so that this passion shines throughout your application and interviews. Do NOT underestimate the secondary writing process. Everyone has his or her own “writer’s rhythm.” Find the arrangement that gets you into “the zone” and be prepared to crank out a novel’s worth of material. Ensure that you incorporate social aspects into your life throughout the application cycle, or you’ll burn out. Should You Apply to 151 Medical Schools? So… are you convinced? Are you going to apply to 151 schools now? The exception proves the rule: there’s a reason why this story is so shocking. It’s because it’s the anomalous success story amongst many failures. Yes, this student managed to pull it off with great success, but that just reminds us of many who have come and failed before. You must know yourself as an applicant: this student reflected about the decision and committed to the process, knowing there was enough available time, energy, and crazy willpower to pull it off. It only worked because the student had self-awareness and a personalized strategy. You can go against the grain as a pre-med and still have success: many pre-meds search for a special formula or one size-fits-all approach to admissions, but such a thing is a myth. If there is such a thing as a “surefire” approach, applying to 151 schools certainly isn’t it, yet it worked brilliantly for this student. As always, listen to the tales of those who have come before you, heed their wisdom, and use it to find an application strategy and school list that fit you best! Newer PostShould You Move to Texas to Improve Your Chances of Getting into Medical School?